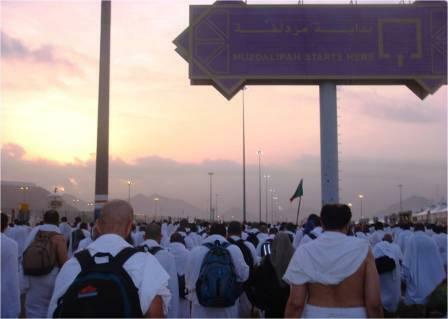 From Masjid-e-Namerah to Masjid-e-Mashar al Haram is 6.4 km but walking time could be as much as two hours, as everybody is going together to one place at the same time, hence the pace is slower. 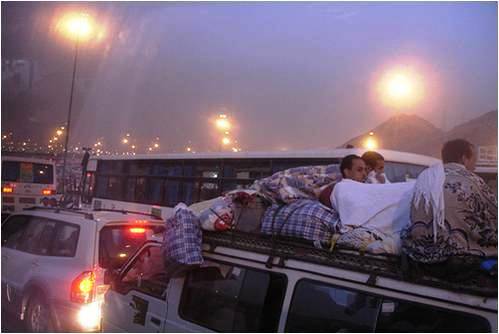 Note that this is the same route you had used earlier on when going from Mina to Arafat. On reaching Muzdalifah the colour of the street light changes indicating its boundary. 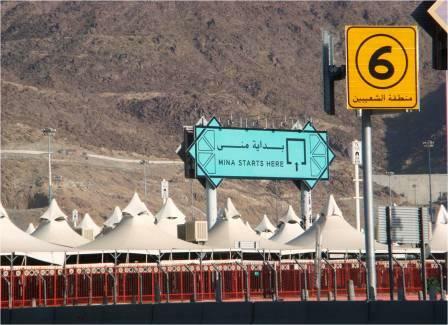 Do not camp near Masjid-e-Muzdalifah but carry on until where Muzdalifah boundary ends and then camp near a toilet/Wudhu/drinking water facility. The boundary is again marked by colour-coded billboards purple in colour. From experience it has been seen that an area around any government office, (e.g. police station, etc. ), is much cleaner than other public areas. In addition, ablution facilities here are better too.